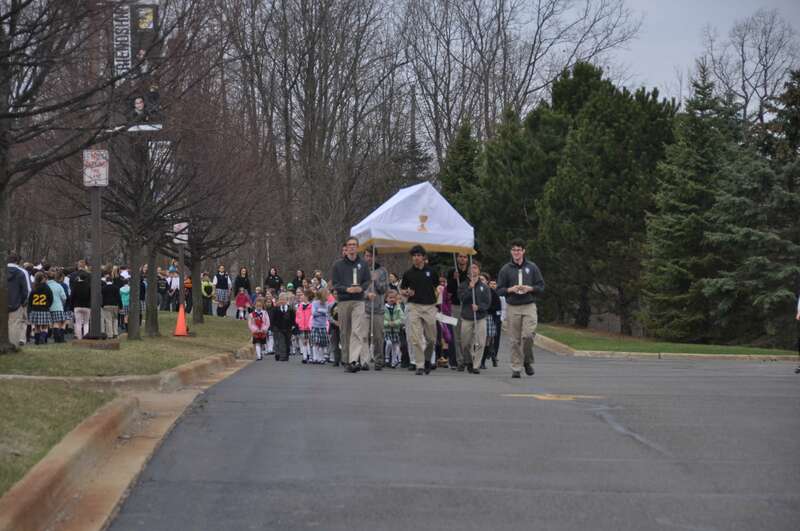 On Friday, April 27, Everest students participated in the annual Eucharistic procession on campus. 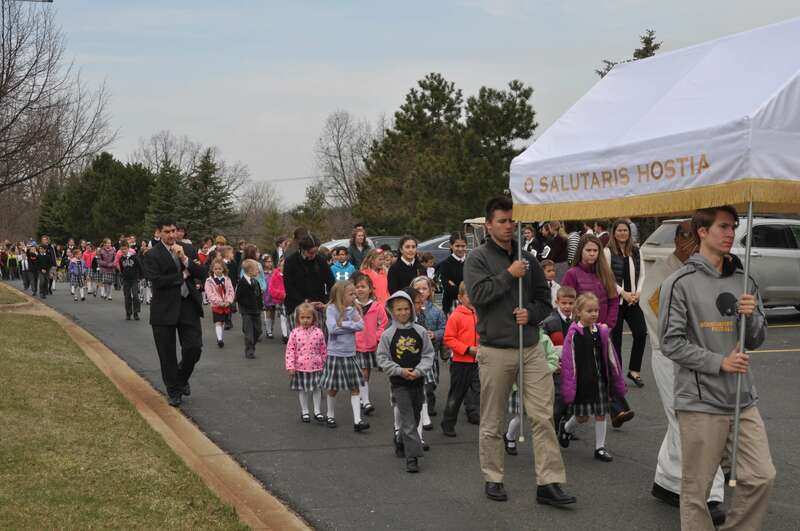 The entire school was in attendance, from preschoolers to our soon-to-graduate seniors. 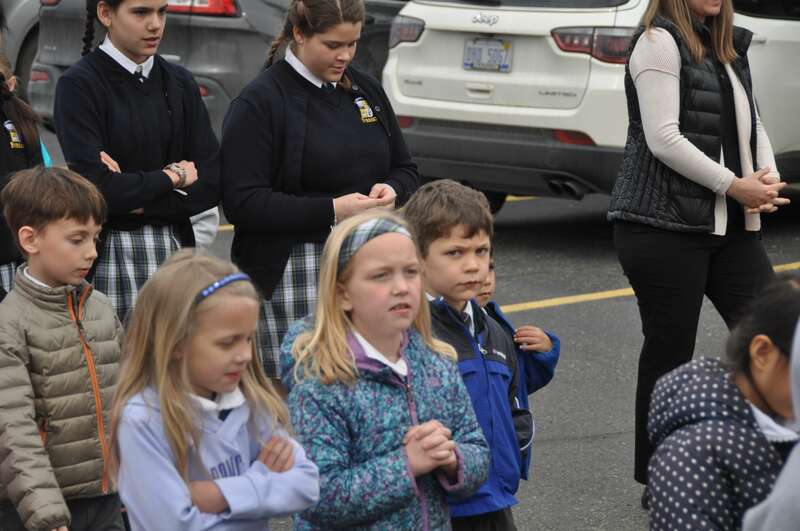 Students and staff sang the songs “I am the Bread” and “Here I am to Worship” and prayed decades of the rosary as they processed around campus. 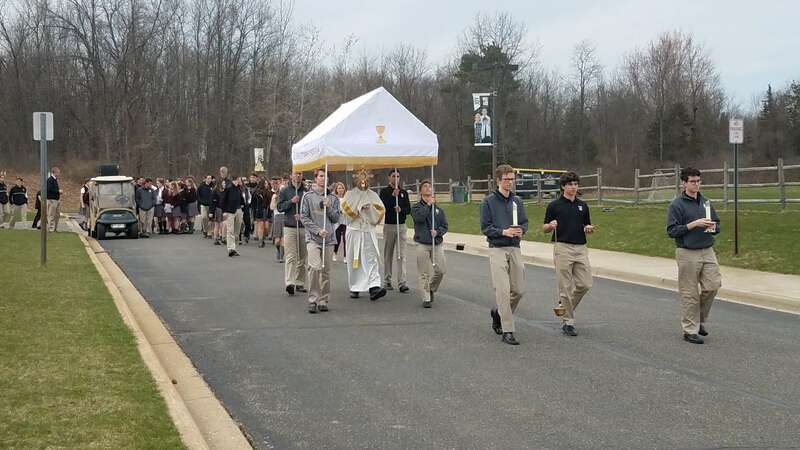 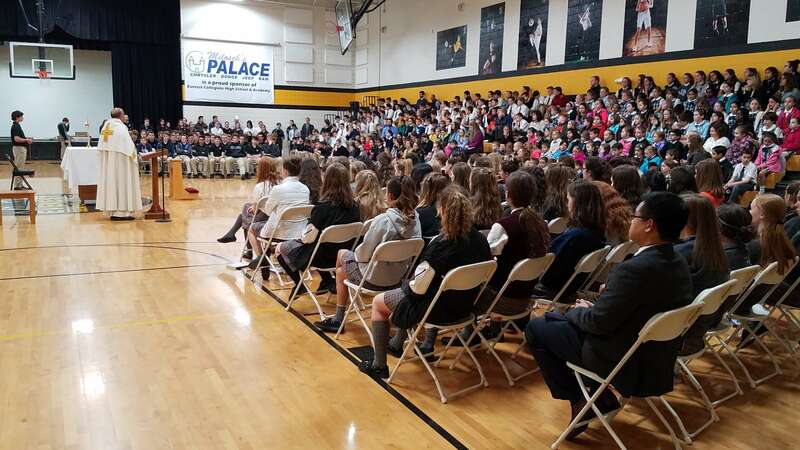 The procession ended in the high school gym where Father Thomas gave a brief exhortation about devotion to the Eucharist, followed by solemn benediction. 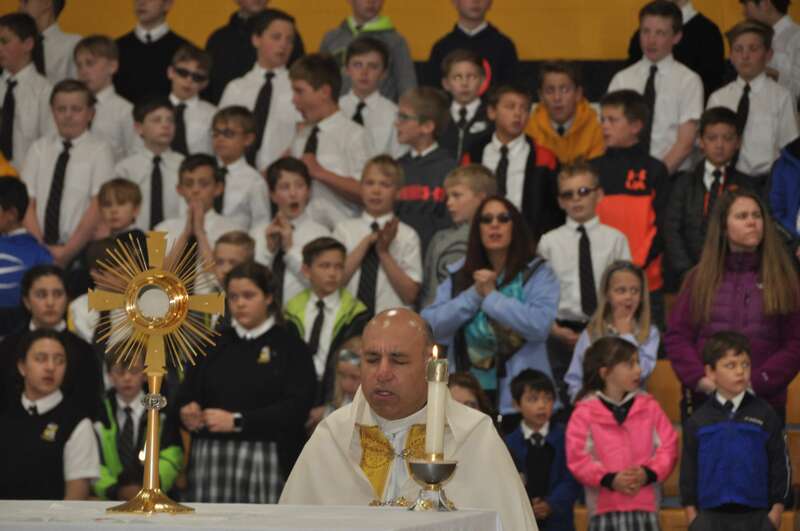 During the exhortation, Father especially encouraged the seniors to stay close to Jesus after they leave Everest. 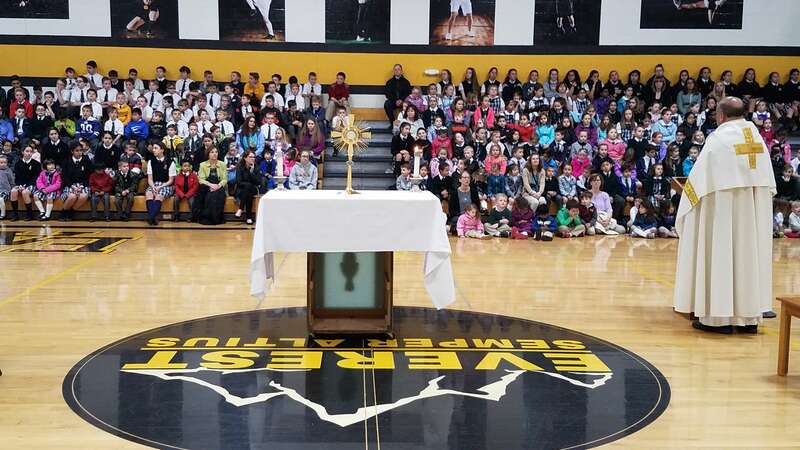 This tradition is honored at Everest, but held earlier in the school year so our senior class can participate before they graduate. 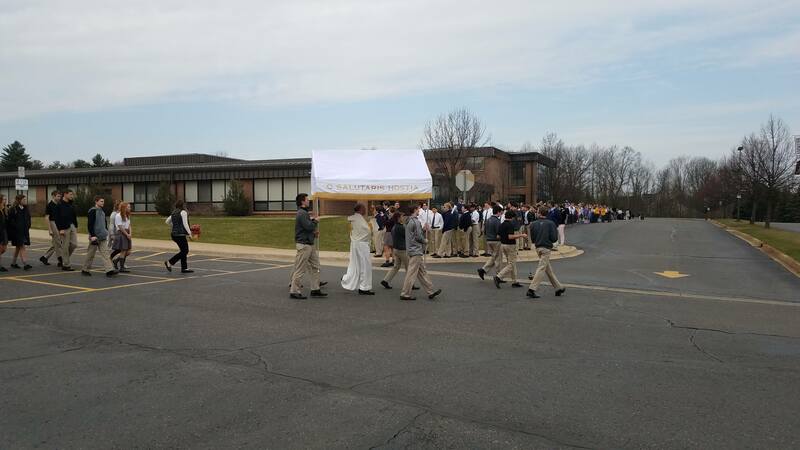 The annual Eucharistic procession is a powerful moment for the entire school to pray together and show our devotion to Jesus in the Eucharist.